JXTC EcoLife - beautiful tourism, eco-friendly template for Joomla 1.5. XTC EcoLife pattern refers to the so-called eco-templates Joomla. 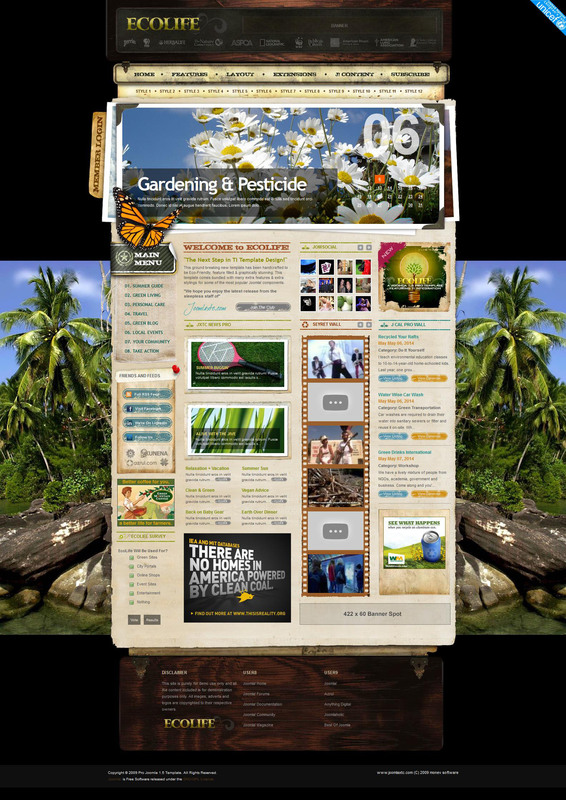 Design template XTC EcoLife ideal to sites relating to the natural theme. Opening page of the site, created based on the template XTC EcoLife, you can see at a glance his subjects from natural tones of green and blue shades. Template JoomlaXTC EcoLife performed in a standard three-column structure. If the left column is commonly used for the sidebar, the center and right speakers XTC EcoLife template can be used to organize the content on the page.